So, while I'm working on Sunburst I have been constantly listening to my Sunburst Playlist!!! I am obsessed with Spotify playlists. Like. Seriously. It's clinical. And I LOVE my Sunburst one. Of course, I say that about every single one I make... But still. It's a good one. Also I'm posting the cover and synopsis because it's been forever since you've seen it!!!! The role of Earth’s Protector has been thrust upon Stella Day, years prematurely, according to the Prophecy. Now, she juggles homework and basketball practice with fighting demons and the Darkness. She struggles to keep it all balanced, knowing her future is not her own. And the person who usually keeps her focused, her Counterpart Seth, begins to vanish for long periods of time. Her worst fears about Seth gnaw at her constantly. She wonders if his absence is connected with his evil sister, or worse—Seth’s connection to the Darkness. Between the juggling, the incessant concern for Seth, plus the inevitable, undeniable attraction she continues to feel for Tristan, her best friend, Stella’s life is quickly spiraling out of control. As if that wasn’t enough, the Council of Elders has suddenly grown silent and she discovers a new dangerous friend to add into the mix. Not to mention, Aliah, the evil Fallen Angel set on her downfall, decides murdering the Star of Earth should be a game and he wants to play. 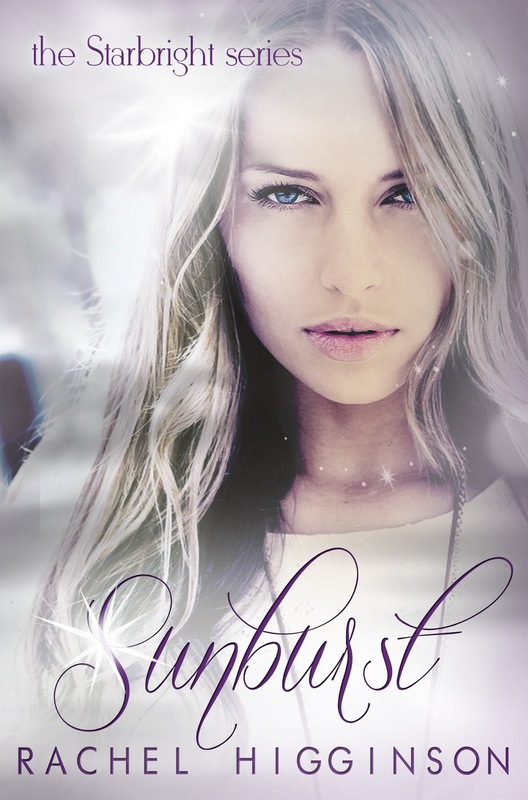 Sunburst is the second installment of the Starbright Series.